Since Americans have become health-conscious and more aware of the benefits of vegetables, especially raw ones, salads have become a huge part of our lives. When you think of salads, what's the first thing that comes to your mind? Lettuce, right? It's a given. In fact, lettuce is the second most popular vegetable in the U.S. The average American eats about 30 pounds of lettuce every year. And yet, many people still consider eating it a form of punishment. Lettuce, once considered "rabbit food" by Americans, has proven to be an indispensable part of a healthy diet. There are many different varieties of lettuce and each one provides different amounts of nutrition. Here is a breakdown of a few of the more popular varieties of lettuce (nutrition is for 1 cup). Butterhead or Boston Bibb: 8 calories, 0.7 g protein, 1.4 g carbohydrates, 19 mg calcium, 14 mg phosphorus, 1.1 mg iron, 145 mg potassium, 530 IU vitamin A, 0.03 mg thiamin, 0.03 mg riboflavin, 0.2 mg niacin, and 4 mg ascorbic acid. Looseleaf: 10 calories, 0.7 g protein, 1.9 g carbohydrates, 37 mg calcium, 14 mg phosphorus, 0.8 mg iron, 145 mg potassium, 1.05 IU vitamin A, 0.03 mg thiamin, 0.04 mg riboflavin, 0.2 mg niacin, and 10 mg ascorbic acid. Iceberg: Iceberg is considered one of the least beneficial type of lettuce, having the following amounts of vitamins and minerals: 7 calories, 0.5 g protein, 1.6 g carbohydrates, 11 mg calcium, 12 mg phosphorus, 0.3 mg iron, 96 mg potassium, 180 IU vitamin A, 0.03 mg thiamin, 0.03 mg riboflavin, 0.2 mg niacin, and 3 mg ascorbic acid. Romaine: 10 calories, 0.7 g protein, 1.9 g carbohydrates, 37 mg calcium, 14 mg phosphorus, 0.8 mg iron, 145 mg potassium, 1.05 IU vitamin A, 0.03 mg thiamin, 0.04 mg riboflavin, 0.2 mg niacin, and 10 mg ascorbic acid. Romaine is one of the most nutritious varieties of lettuce. For U.S. recommended daily allowances, 1½ cups, shredded, has 10% vitamin A, 2% calcium, and 4% vitamin C. Romaine lettuce was believed to be extremely healthful as far back as Roman times (hence its name). Caesar Augustus had a statue built in honor of romaine lettuce because he believed eating it cured him of an illness. The fact that romaine provides 10% of the U.S. RDA of vitamin A is not insignificant. Vitamin A helps fight against diseases, helps normal cell reproduction (which, in turn, helps ward off cancer), and fights eye diseases. It is also important for women's health issues (see below). Other lettuces with high vitamin A content are green leaf lettuce with 30% of the U.S. RDA of vitamin A in 1½ cups, and red leaf lettuce with 30% in the same amount. These are fantastic statistics. Without even having a nutritional breakdown in front of you, however, you can still determine which types are healthier than others. Basically, the one thing to remember is that the darker the leaves, the more nutrition that variety has. They have more beta-carotene, calcium, and iron. 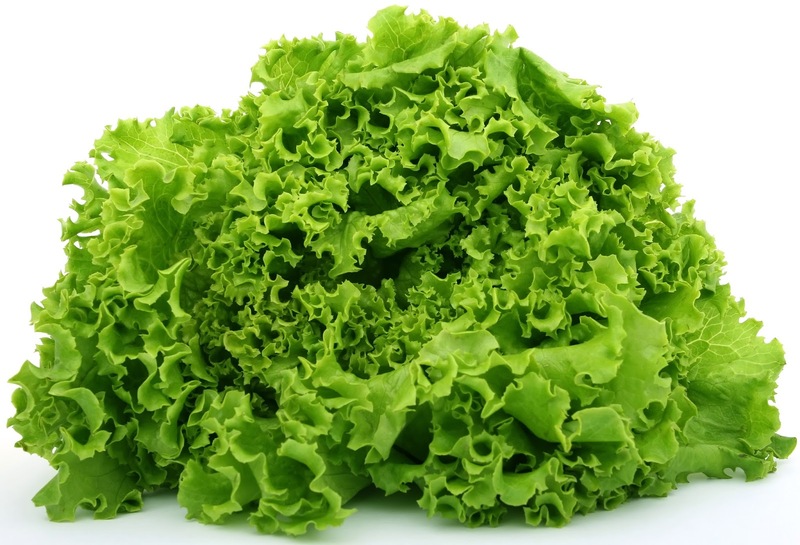 And within the same head of lettuce, the darker outer leaves are more nutritious than the inner leaves, which get lighter and lighter as you get further toward the center of the head. (Although, the inner leaves also tend to be milder and more tender.) Lettuce, in general, is high in potassium, vitamin A, and is a good source of phosphorous. And it is fat-free (even though some varieties have trace amounts of fat, it is negligible). Most importantly, lettuce contains phytochemicals, particularly lutein, beta-carotene, coumarins, and folic acid, which help reduce the incidence of cancer. It is one of the best anti-cancer foods around, and it has been seen to be especially effective for stomach cancer. A lot of antioxidants are destroyed by heat, which is why it is important to incorporate raw vegetables into our diet. Lettuce is almost always eaten raw (although cooked lettuce is delicious) so, unlike a lot of veggies on the dinner table, its antioxidants stay intact. Women, as they get older, are prone to hip fractures because of osteoporosis and other bone degenerative diseases. Until recently, iceberg lettuce has been considered the nutritional loser in the lettuce family, having the least vitamins and minerals. However, it would seem that iceberg, which got its name from being transported from California under mounds of ice to keep it cool (originally it was called crisphead lettuce) is not as useless as once thought. According to the American Journal of Clinical Nutrition, a 10-year study showed that women who ate at least one serving per day had a 45 percent lower risk of getting a hip fracture than women who did not eat at least one serving per day. The reason for this? Apparently, iceberg contains large amounts of vitamin K, which has been linked to lower incidences of hip fractures. Researchers at the University of Alabama School of Public Health in Birmingham did a study of their own, according to Jean Carper in Food—Your Miracle Medicine. 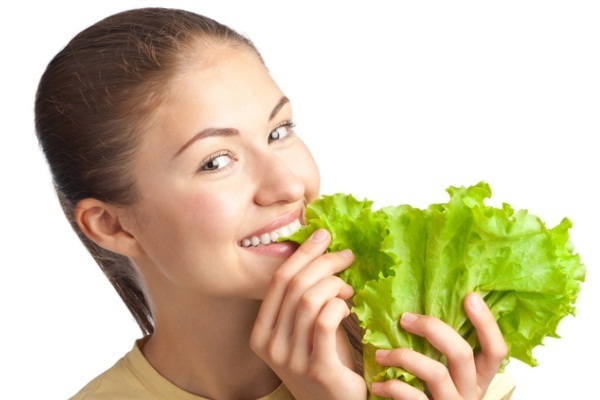 The results of their research, done on women with and without endometrial cancer, showed that women who ate high-carotene foods, one of which was lettuce, at least once a day had only a 27% chance of having the cancer, compared to those who didn't have a daily serving. Because of the good amounts of vitamin A in lettuce, it is an important element in helping women fight osteoporosis, urinary tract infections, vaginitis, PMS, menorrhagia, and abnormal pap smears. When purchasing lettuce, a member of the sunflower family, look for bright, fresh color. Avoid heads with blemished or slimy leaves. Look for signs of wilting or mold. Store it in plastic bags in the refrigerator and use it within a week. There are so many varieties of lettuce available and so many ways to prepare it, you could have it a different way every day for a long time. 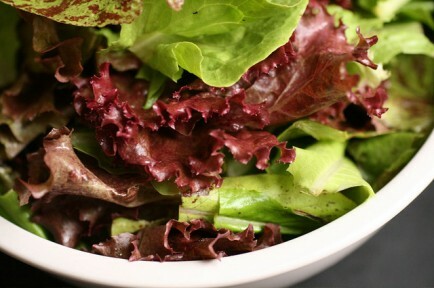 You can get more information on lettuce from http://www.foxy.com, http://www.freshpoint.com, and http://www.wegmans.com. Salads no longer have to be boring, and lettuce no longer has to be had only in salads. 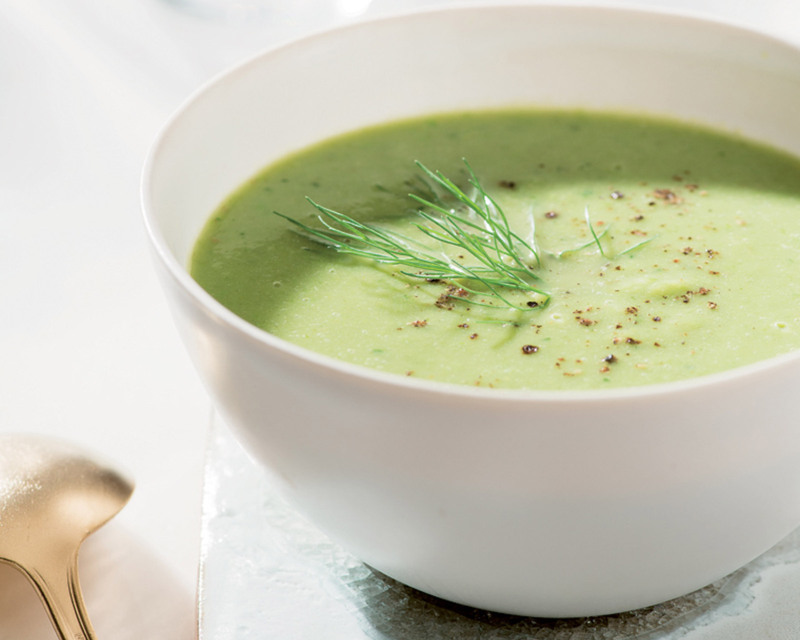 The recipes below are courtesy of the September and April 1999 issues of Gourmet magazine. Enjoy. Stir together shallot and vinegar and let stand 10 minutes. Whisk in mustard, oil, kosher salt, and pepper to taste until blended. Tear lettuce into bite-size pieces and toss with shallot vinaigrette. Stack lettuce leaves and cut into thin shreds. In a 3-quart saucepan gently simmer lettuce, broth, and water, covered, 40 minutes. In a blender purée soup in 2 batches with butter, nutmeg, and salt and pepper to taste until smooth (use caution when blending hot liquids), transferring as blended to another saucepan. Heat soup over moderately high heat until hot. Makes about 5 cups.